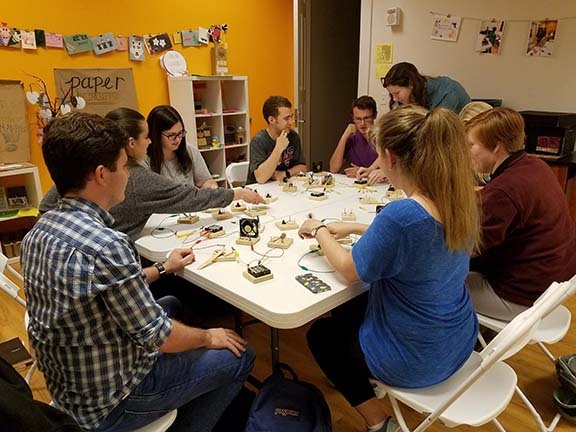 Chartered in November 1996, the Museum Studies Student Association — known as MSSA — links its members with the larger Baylor community and the museum professional community. Students hear from guest speakers drawn from the Mayborn Museum Complex, the Baylor community, and from museums in Waco. In addition, the MSSA serves as a clearinghouse for volunteering opportunities in Central Texas. On occasion, groups of students will volunteer together for special events or special projects at local museums. The MSSA also serves as the students' liaison to the Graduate Student Association. MSSA is an excellent opportunity to build leadership skills: at the end of the spring semester, the members elect officers for the coming year. These are President, Vice President, Secretary, Treasurer, and Historian.